A refugee from a destroyed world, Tigerwolf is a friendly, but shy, bengal tiger / black wolf morph standing just over 6 feet tall on plantigrade feet. In his current tiger form, his fur is typical tawny-orange and white tiger colors with black stripes. The stripe pattern on his face gives the appearance of a very slight, permanent smile. His eyes are an irridescent green-gold, sparkling, but somewhat introspective. His long, striped tail has an amusing tendency to frizz when he is startled. He is powerfully built, solid, but not excessively muscular. He is wearing only tiger-striped shorts which closely match his body colors. From a distance, it is difficult to tell if he is clothed or not. A small, black, multi-function communicator-watch is strapped on his left wrist. Being cautious and quite shy, he is not particularly easy to get to know well; but to those who are close to him, he is a fiercely loyal and loving friend. He has a soft smile, and a gentle manner. 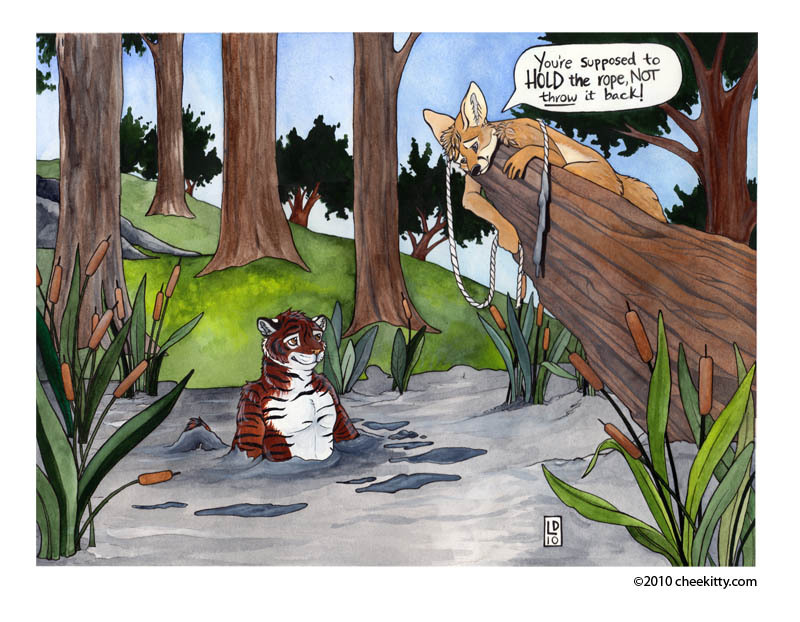 Tigerwolf dictated the story of his arrival to a human he knows. 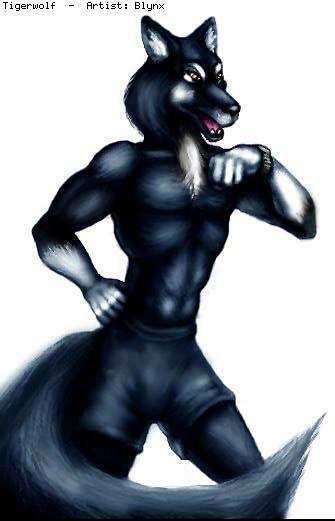 Tigerwolf has had a few portraits made. You can view these (or download if your browser is text only) by selecting below. 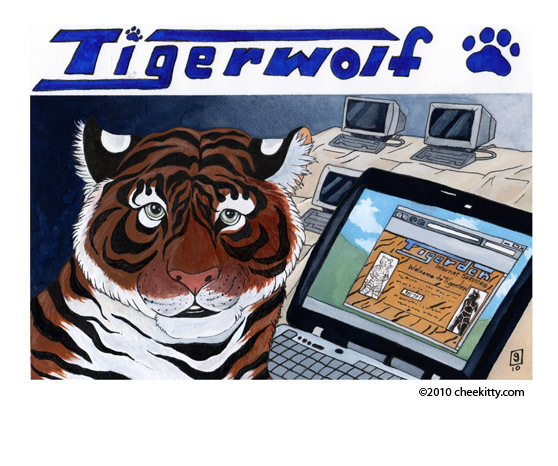 Web page © 1995-2010 Tigerwolf ® Access count: since 1 Nov 95. Images used with permission of the Artist. Tigerwolf is a registered mark.